The Brother MFC 255CW is a wireless colour inkjet all-in-one printer that boasts printing, copying, scanning and fax capabilities. This multifunction device is suitable for small or home office users to perform daily home tasks. The printer has a compact and neat design. It measures 390 x 365 x 150 mm and weighs around 7.2 kg. Over the top, there is a flatbed scanner and there is an inkjet printer at the bottom. The scanner has an optical resolution of 1200 x 2400 dpi, which can increase up to 19200 x 19200 dpi interpolated. With the Brother MFC 255CW Ink Cartridges, the printer has a monthly duty cycle of 2,500 pages. The printer has easy to use control panels. The printer also features built-in media card reader. The printer has Wi-Fi and USB features for connectivity. 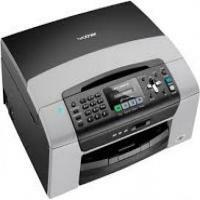 The printer’s fax machine is G3 compatible and transmissions speeds can reach up to 14.4 Kbps. The fax machine has a total memory capacity of 200 pages. The print and photo quality are excellent with Brother MFC 255CW Ink Cartridges. It is consistent and free from banding. The scanning quality is a little weak on colour at the lower settings but good at higher settings. The Brother MFC 255CW printer has easy set up. It has excellent print results but the printing speed is low and it takes a long time to warm up. It is unable to accept standard USB drives which is a slight drawback. But it’s easy scanning to PC or memory card can overcome that. Q. My Cyan BROTHER MFC 255CW ink cartridge has run out of ink. Do you have any individual packs for cyan ink? A. Yes, we have both original and compatible individual packs for cyan ink cartridges available for our customers to purchase. Q. What sizes of paper can BROTHER MFC 255CW take as input? A. BROTHER MFC 255CW can take the following sizes of paper as input: Letter, Legal, Executive, A4, A5, A6, JIS B5, Envelopes (Commercial No. 10, DL, C5, Monarch, JE4), Photo 4" X 6", Photo 2L 5" x 7", Index Card, Postcard 1 (3.9" x 5.8") and Postcard 2 (5.8" x 7.9"). Q. Can I print from or scan to a memory card or USB without a PC? A. Yes, even if your machine is not connected to your computer, you directly print from or scan to a memory cary card. However, you cannot use this feature with a USB. Q. Can I print from and scan to a smartphone? A. Yes, this feature is available on Android, Windows and IOS devices. You need to install Brother iPrint&Scan app into your device to print or scan with your MFC 255CW machine. In order to use Brother iPrint&Scan, your device must connect using the same network that the machine is connected to. Q. How many pages can each of the BROTHER MFC 255CW ink cartridges print? Q. What interfaces are supported by BROTHER MFC 255CW? USB - Use a USB interface cable that is no longer than 6 feet. Q. Can I expect the same quality of output as original from compatible BROTHER MFC 255CW cartridges? A. Yes, we guarantee that you will be satisfied and won’t be making a compromise on quality. These are FSC tested products and produce the same quality of output as original cartridges. Q. Does BROTHER MFC 255CW provide the Fax facility? A. Yes, BROTHER MFC 255CW supports the fax feature. Q. What is the maximum print resolution that a BROTHER MFC 255CW can produce? A. A BROTHER MFC 255CW printer can produce print resolutions upto 1200 x 6000 dpi.